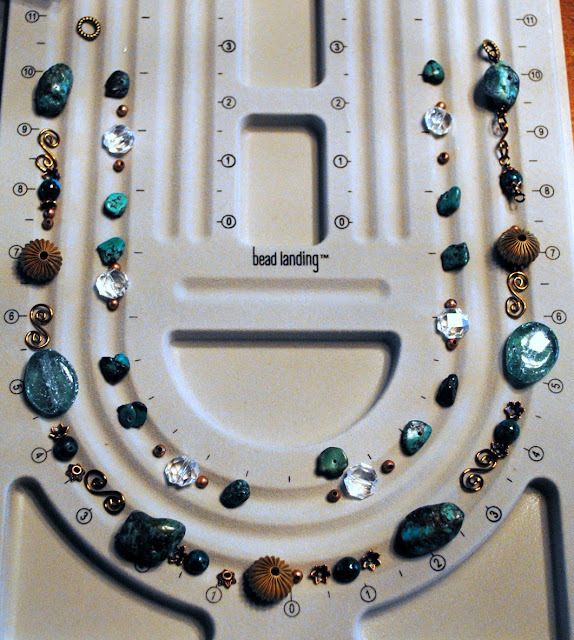 And another HUGE thank you to Thistle Beads for the amazing bead soup they sent me! The challenge was to take the bead soup we were sent and add to it from our personal stash to create a one-of-a-kind necklace. I have to admit, this soup stretched me outside my current design style. 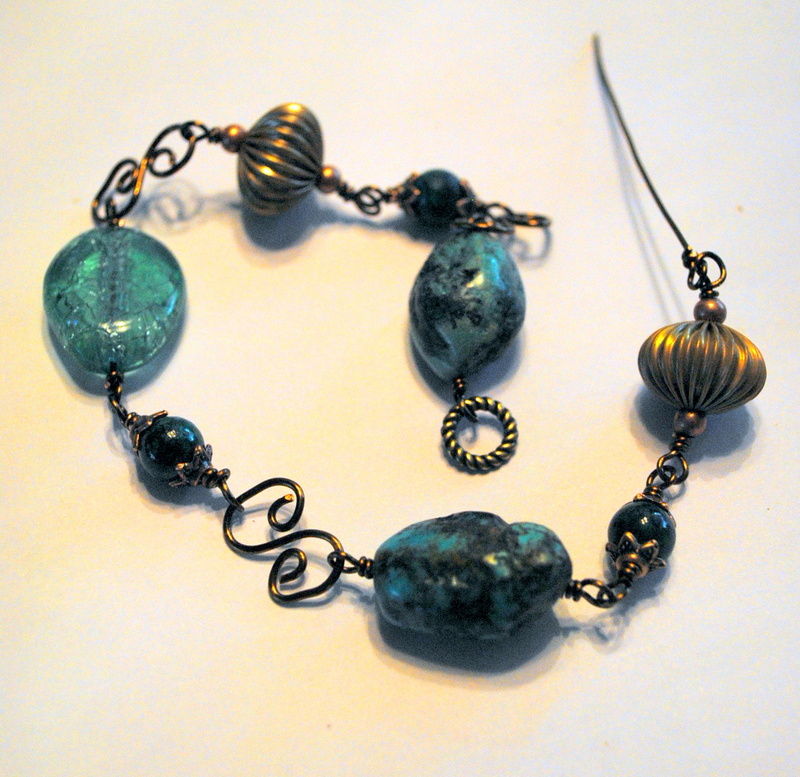 I've been working with seed beads and beading patterns, so it was a lot of fun to get the wire out and go back to wire working. 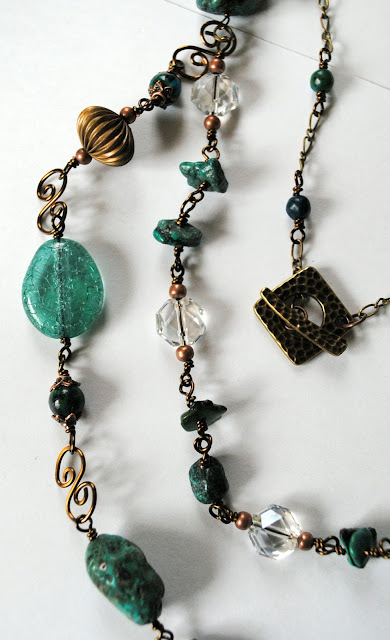 I have been collecting antique brass and antique copper findings for a special project and this necklace fit the bill. 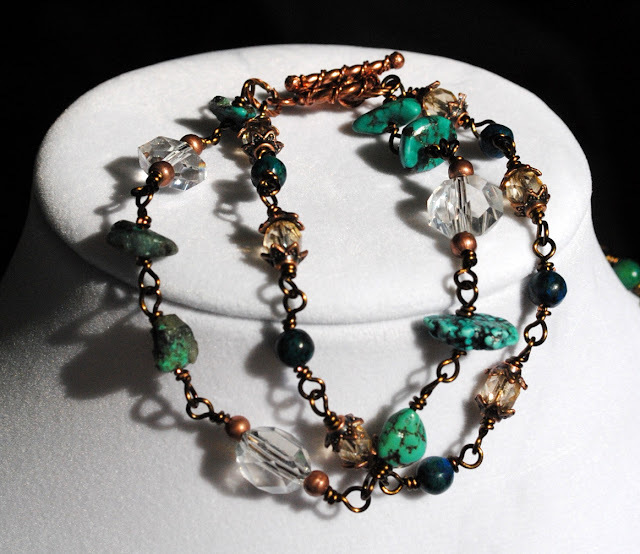 I love the varied colors of turquoise in all the beads...the antique brass wire set it all off beautifully! It took several attempts to get the two strands the right length but it was worth the time. 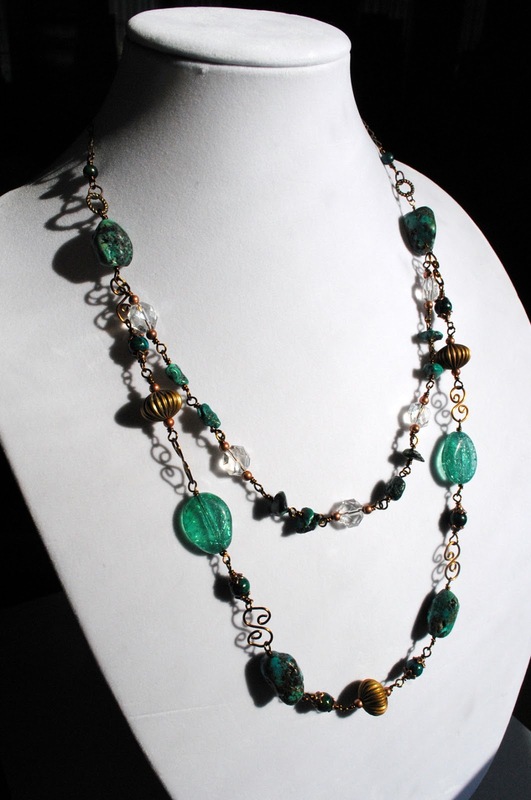 The little antique copper beads and hammered links really gives the necklace a unique feel. I even had enough left-over soup to create this matching bracelet. 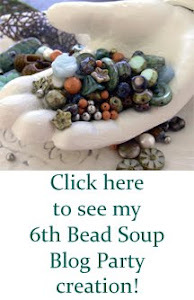 It was so exciting to be chosen to be a part of this bead soup party! 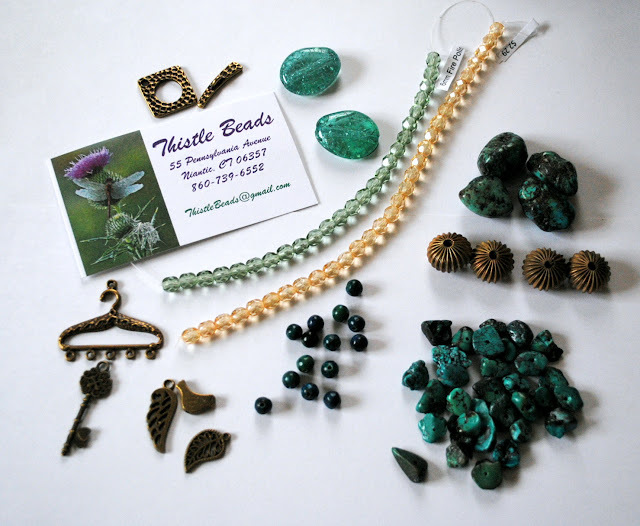 And the next time we're traveling to Maine, I'm making sure we have an extra hour in the schedule to stop in Connecticut and visit Thistle Beads to thank them in person! I love the beads, love the necklace, and love seeing how someone uses a bead board -- I never could figure that out (face:palm). I love what you did with your soup! 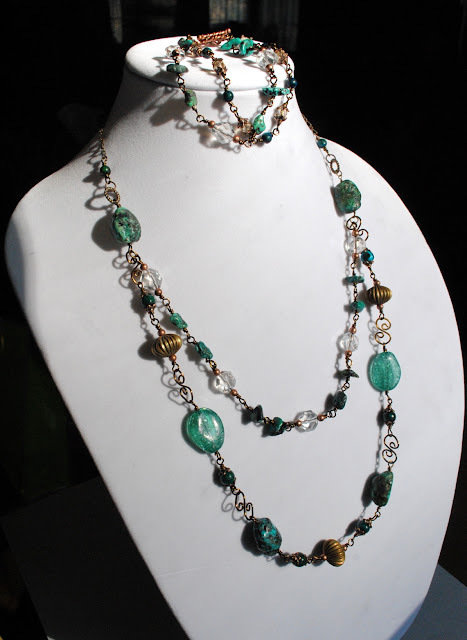 I love the color combination and the playful feel of the finished piece - great job! Very pretty! 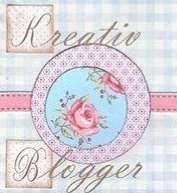 It feels very vintage and the colors are so wonderful. Great job!